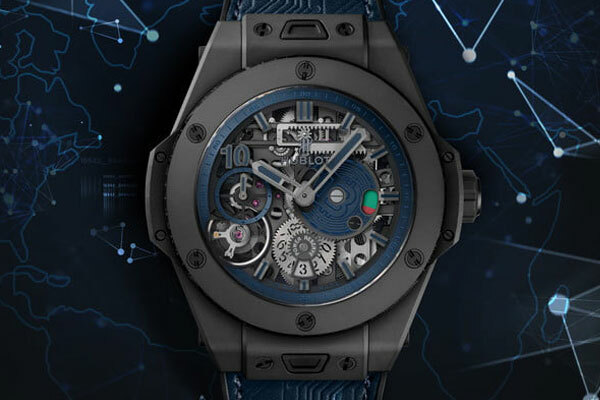 Earlier this month, Hublot announced its new luxury watch, the Hublot Big Bang Meca-10 P2P. What makes it a unique one is that you can only purchase this $25,000 watch using Bitcoins. Even if you can afford the new limited edition (210 of these will be made) watch in a currency other than Bitcoin, you won’t be allowed to purchase it. The design of the watch reflects the outlandish tradition in Hublot’s style of design. As part of that design, the transaction number of the watch will be engraved on the side of the bezel. The Bitcoin logo can be seen on the skeleton design revealing the exposed HUB1201 movement. That movement is housed within a 45mm handmade micro-blasted ceramic case. The caseback is an anti-reflective sapphire which has a world map engraved on its underside. The timepiece is water resistant up to 100 metres. The release of this watch is also intended to celebrate the 10th anniversary of Bitcoin, one of the most popular cryptocurrencies whose value has skyrocketed over the last one year, then crashed a few months ago and has now recovered and stabilised over the last few weeks. The watch will have a 10-day power too reserve which again is another nod to Bitcoin’s 10th anniversary. You can pre-order it on Hublot’s website with the first few watches expected to be delivered to customers by early January.